Pailou arch in Peking. 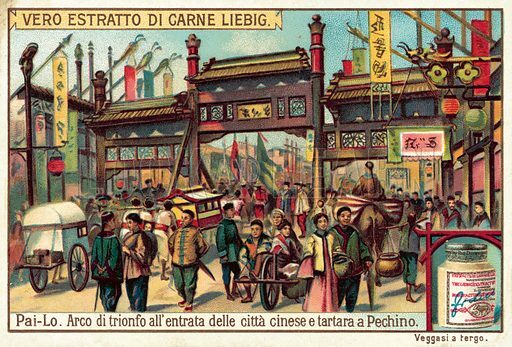 Liebig card, published early 20th century. From a series on China. Available worldwide for immediate download up to 4,865 x 3,289 pixels.